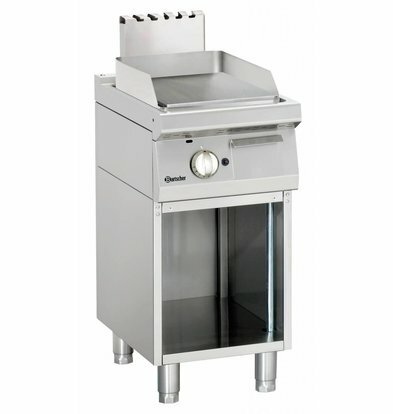 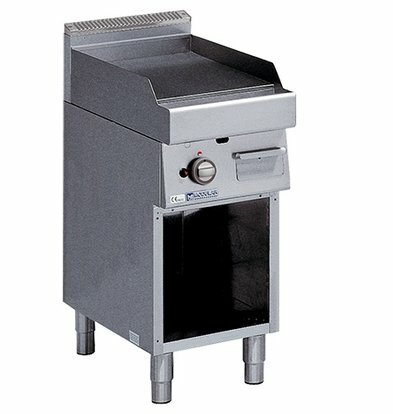 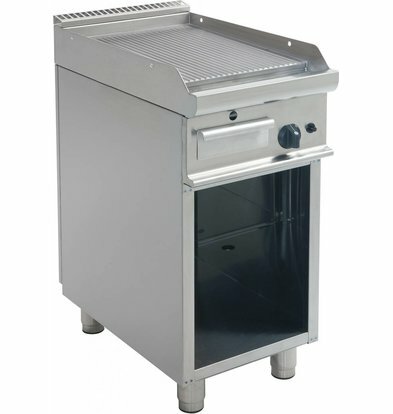 Our professional baking gas have a solid body of high quality stainless steel and are safe to operate. 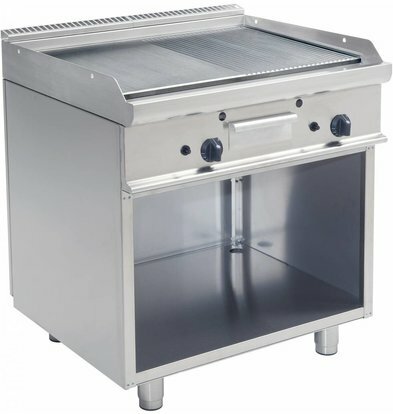 At XXLhoreca you order all kinds of small and large gas griddles from reputable suppliers such as Diamond, Saro and Bartscher. Most of these trays have a piezo electric ignition and a convenient splash guard rim as well as height-adjustable legs. 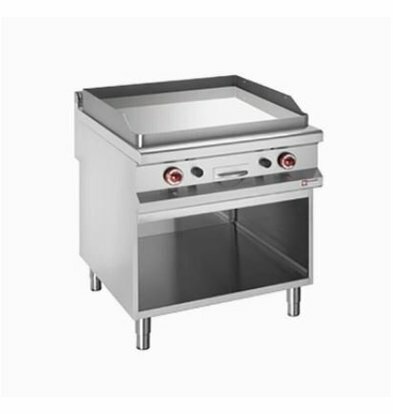 The open area under the baking tray offers space for all kinds of utensils. 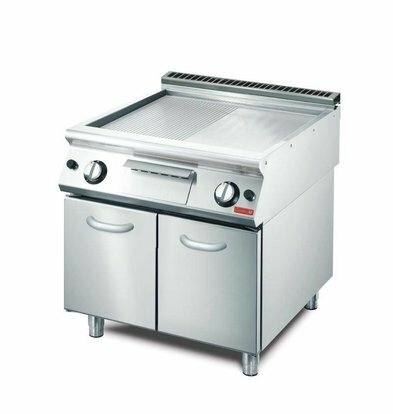 The high Bartscher gas griddle with chassis features a very spacious baking sheet and is composed entirely of CNS 18/10 steel. 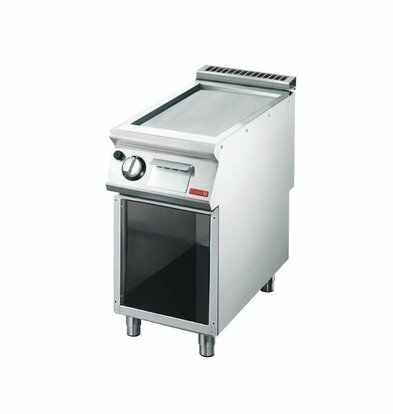 The two buttons can be heated to the right or left side of the gasbakplaat independently. 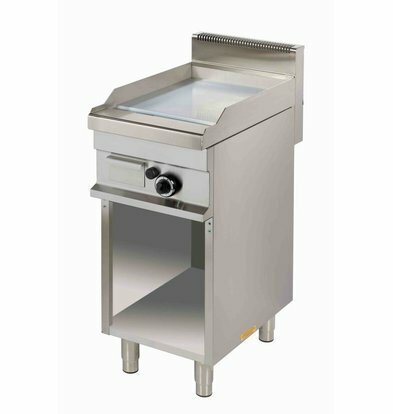 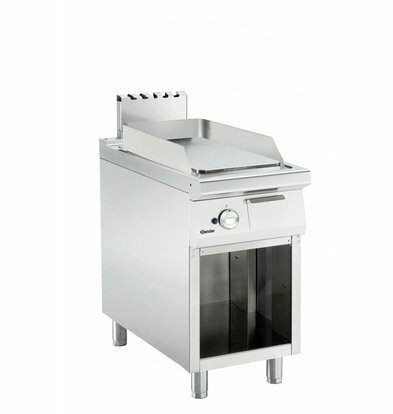 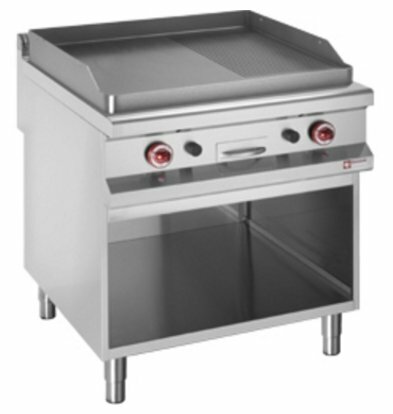 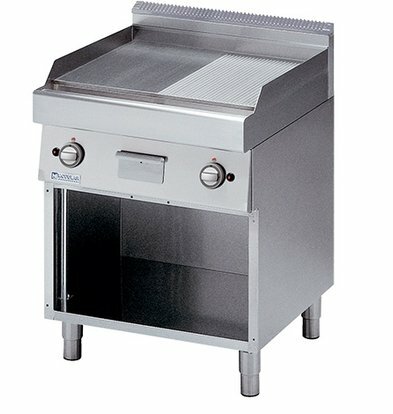 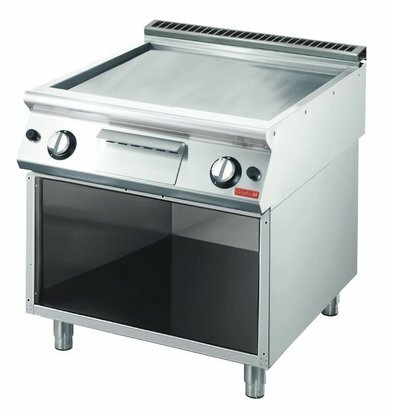 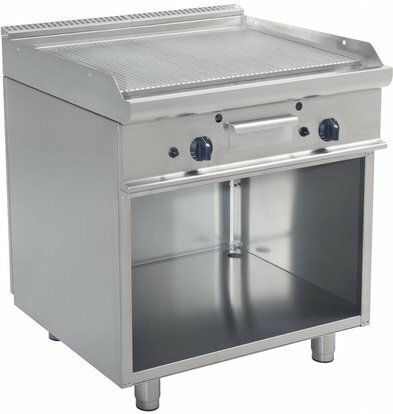 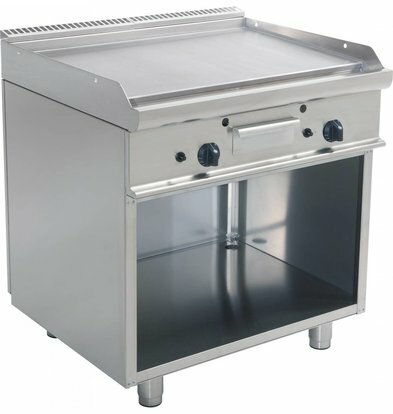 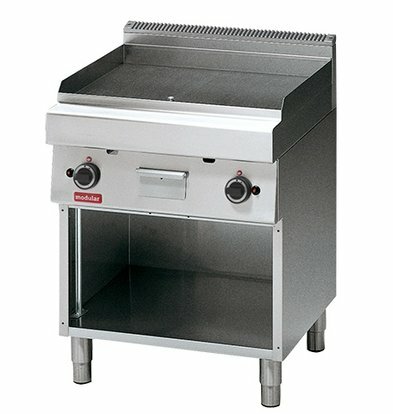 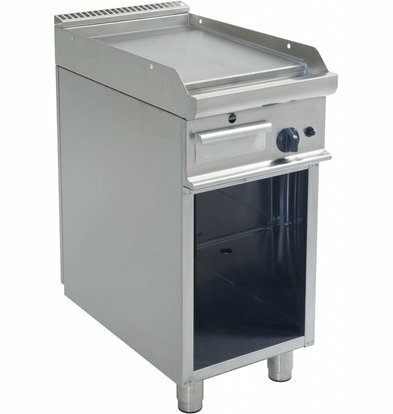 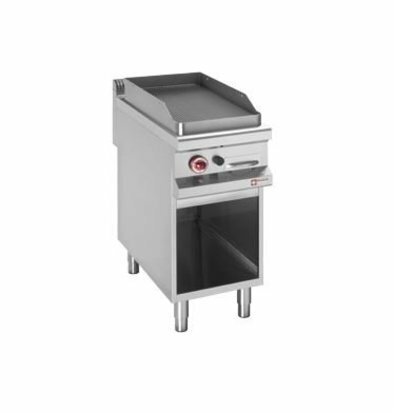 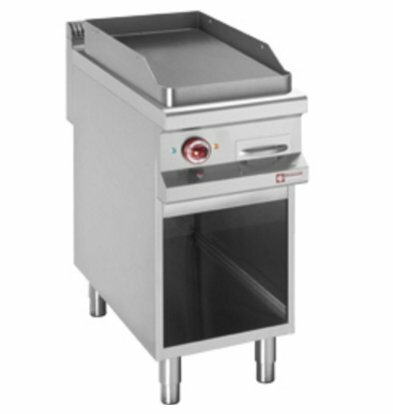 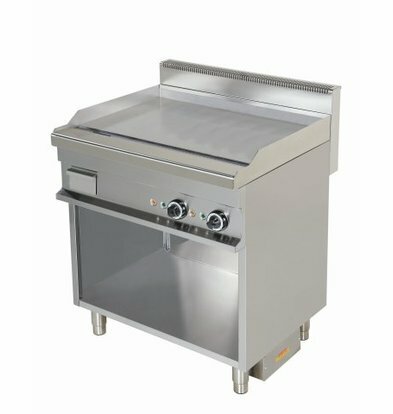 Our compact Saro gas griddle with chassis takes up little space and offers all the functionality for the professional hospitality environment. 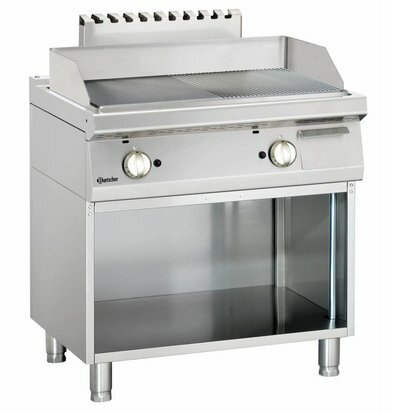 These gas-fired griddle to order the maximum warranty of 2 years.